Well, it’s official. Summer’s nearly here in the Pacific Northwest. 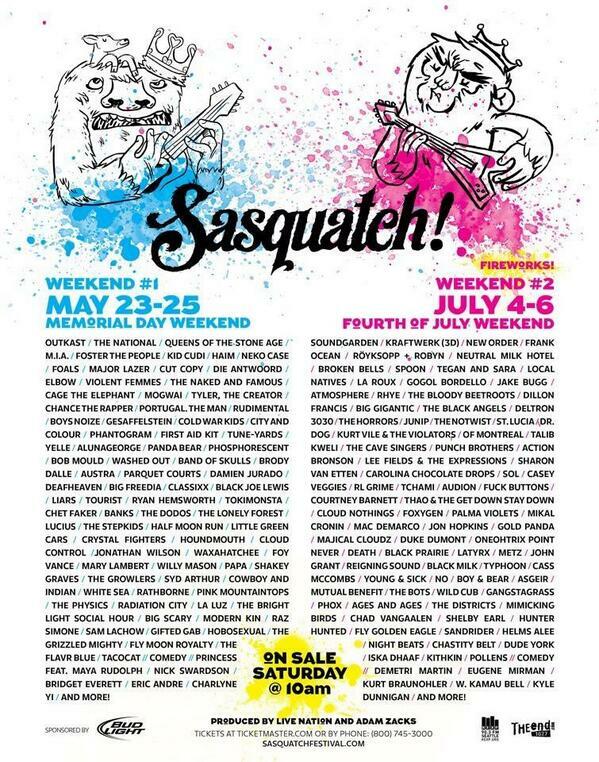 Well, not exactly, but the annual Sasquatch! lineup reveal means its certainly on our collective music-obsessed mind. 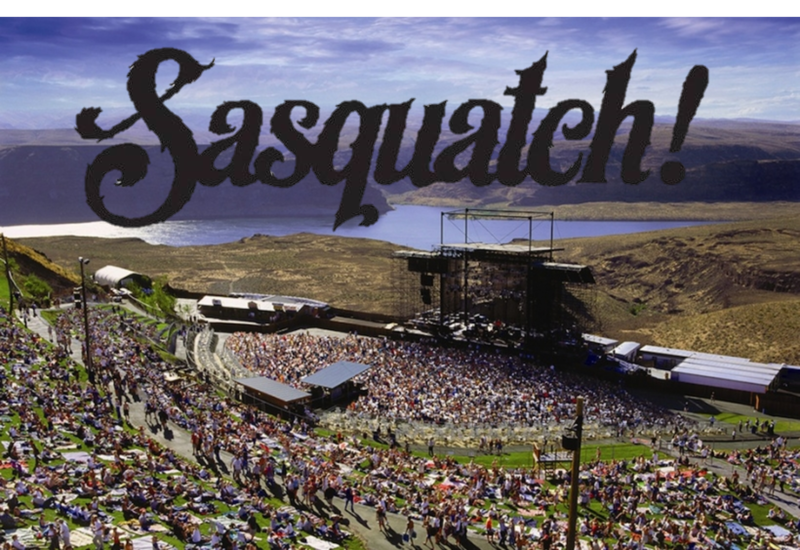 The giant of a festival will once again take up residency at the Gorge in May and then again in July. The lineups for the two weekends are entirely different and feature some of heavy hitters from yesteryear and today. On Memorial Day Weekend, music and/or festival fans will have the chance to see Outkast, The National, Queens of the Stone Age, Haim, Neko Case, Foals, Violent Femmes, Elbow, Mogwai, Tyler the Creator, Rudimental, Phantogram, tUnE-yArDs and many, many more. Our initial favorites also include First Aid Kit, Phosphorescent, Washed Out, Parquet Courts and local Cat Fancy enthusiasts, Tacocat. For those looking to spend Independence Day Weekend with the masses, you’ll get a chance at soaking in Soundgarden, Kraftwerk, New Order, Frank Ocean, Royksopp + Robyn, Neutral Milk Hotel, Spoon, Broken Bells, Tegan & Sara, Local Natives, Gogol Bordello, Rhye, Black Angels, Deltron 3030 and many, many others. Other initial SLM favorites from that weekend include of Montreal, Foxygen, Kurt Vile & the Violators, John Grant and the fireworks display. Tickets go on sale Saturday at 10 AM. Full lineups in poster and text form below.